Took one lucidimine tablet at 12:30 PM and had a nap for about one hour, but did not have a lucid dream. Did dream but could not recall the content. Disappointed! Took one lucidimine tablet at 6:30 AM, but was still wide awake at 9:0 AM and got up. Couldn’t stop thinking of my wife’s best friend in Guangzhou who was told she had cancer in Feb, 2018; had chemotherapy; and a breast removed. At a second 3 month check-up she was told that the Cancer had reappeared in her lung, liver and bones. She is 48 years old and had attended nursing school with my wife, but went on to be a bookkeeper. A common prognosis for this type of cancer is 6 months to a year. She has yet to tell her daughter and parents the results. 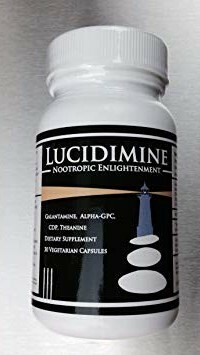 I have decided to postpone using Lucid Dream Supplements for a couple of weeks (as suggested by some researchers). My passion for researching Humbke Family History and developing Lucid Dreaming Skills are, what I believe to be, the prime reasons for having this Lucid Dream. The oldest two Humbke girls (Sophie & Winnie) had married German farm boys (a Conradi and a Callies) in the United States and their older brother (Ernest Sr., my Grandfather) had arranged for a wife who was born in the same German Village (Windheim) as him to come to Canada to be his wife in 1902. The next daughter was to marry Joe George, an individual of English ancestry who was born in Quebec, Canada (1880). In my lucid dream I met Joe, about 21 years old, for the first time when he was a young English-speaking farm boy who was musical, physically energetic, and ambitious. He loved breaking horse, had an interest in boxing and a passion to have a large family on the prairies. . I was 15 and at my Great Grandmother’s homestead when Joe came by one day to ask my Great-Grandmother how much she would charge to board a friend of his who wanted to come and see what life was like on a homestead in the NorhWest Territories. She told him she would do it for $4 dollars a week. 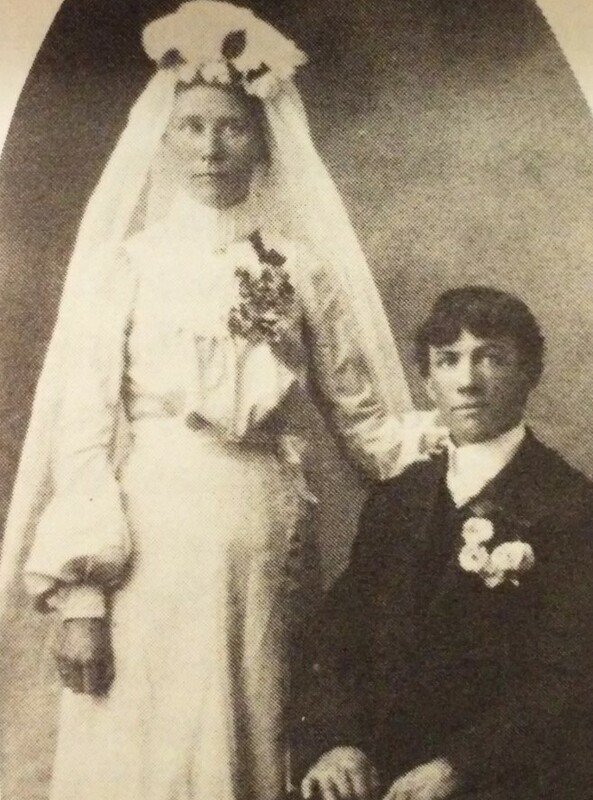 It was the beginning of a courting between him and my Grandfather’s, sister Mary, that ended in marriage in 1903 and the birth of 8 boys and 3 daughters – a farming and musical dynasty. Before having this dream, I consumed a cup of Mugwort Tea which has been used for centuries to stimulate vivid dreams. It seemed to work and I will try it again. It is with great joy, I report that I am again flying in my dreams after a 50-year absence. The difference is that this time it was in a lucid dream and due to smart technology I have been reading about. Research over the years has lead to results where both my dream and awake worlds function as per the beliefs I hold. The functioning of both the conscious and subconscious depend on what one ends up believing is possible. In the dream a small device containing a propeller which allowed me to jump of tall buildings and fly of in any direction I wished. No one knew how the device worked and there was a downside. An embedded chip enabled the government to know exactly who and how each device was being used, and could disconnect the power at any time. Since I knew I was in a lucid dream and could come to no harm I was having the time of my life. 1. Education as interchangeable roles of facilitator and learner. 2. Intergenerational and interclutural relationships between individuals. 3. Financial investments to ensure security of mind and independence. In both case I was very much aware I was dreaming and spoke in a very low voice to keep from waking my wife. I also attempted to take notes for reference when I awoke, but that turned out to be an illusion. I did awake with a stronger conviction that I could gain my objectives if I worked hard enough and long enough to develop beliefs that could overcome what seemed to be obstacles that one could not go around, over or thru. A feeling of gratitude for life and the opportunities came over me. Very interesting post about lucid dreams. I have never though that lucid dreaming can be cause by some tablets or herbs. I thought that some people can develop this skill because of mediating for quite a long time. What’s your opinion on the subject of meditation and lucid dreaming? Can it work, or are there other ways that you would recommend? Thanks for the interesting articles and blog. Herbs and supplements have helped me have both more vivid and lucid dreams, but I believe that extensive researching of dreaming; keeping a dream diary; and the strong intent to lucid dream are the best way to develop the skill. Meditation is definitely a way to develop your lucid dreaming skill. Wow! I dream a lot. Sometimes I dream so much I’m worn out during the day. Like, I’m so active in the dreams that it was as if I didn’t actually sleep. Does that ever happen to you? Lately, though, it’s been better. I get more active sleep than active dreams. Do you dream in color or black and white? I’ve heard that it’s rare to dream in color. But, my dreams are always in color. In fact, I had one dream recently that was really bright and vibrant in the colors. I remember it so well. The hills were really green and the water was so clear and blue. The flowers everywhere had so many different colors to them too. I actually did not know that there was a pill that could be taken to help out with lucid dreaming. That’s kinda cool really. Really sorry to hear about your wife’s friend. She’s so young. That’s pretty cool that you were able to meet an ancestor in your dreams. Very cool! This makes me want to pay more attention to my own dreams 🙂 Thank you! It’s great to hear from a fellow dreamer. From what I understand, about 20% of our time sleep is spent in REM (rapid eye movement), which amounts to having 3 or 4 dreams each night that total about 1.5 hrs of dreaming out of a total of 8 hrs of sleep. Of course a number of factors affect each individual different, but the longer I keep track the more these figures seem to be about right. I still have trouble remembering more than one dream each night, unless I get up between dreams and enter them in a dream diary. If you continue with your efforts your skill level is likely to increase. Stay in touch and let me know how every thing goes for you. This was a very interesting read and peaked my curiosity. I have practiced for sometime the art and gift of lucid dreaming and the human brain and dreaming have always been of great fascination to me. I had no previous knowledge of mugwort tea and its effects. Is that easily found in stores to give it a try? Mugwort Teas is readily available online or at local stores. Give it a try and let me know the results. Individuals have different results, but usually there is a difference in your dream’s vividness. Hey, this is an awesome idea! Great job. It’s cool to see you keeping a record of your dreams and the progress you’re making. Lucid dreams have always been a fascinating concept to me; the idea that you can control your own reality within a dream state is just amazing. I’ve only ever been able to lucid dream once or twice; the minute I realize I’m dreaming, my control seems to slip and I end up waking up. Do you have any recommendations to overcome this? In the beginning the exact same thing happened to me. I just continued to read books on all aspects of dreaming, taking courses; and keeping a dream diary. Now I often have lucid dreams. Best of luck with your lucid dreaming skills! I have very lucid dreams quite often, but I never realized that people actually attempt to have lucid dreams. How interesting. Many times in my dreams, I know I’m dreaming, which is pretty crazy. I will go around and look at details of things and marvel at the fact that there is so much delicate detail in everything. It’s pretty amazing how the mind works to create these fine details. I also sometimes do crazy things because I know I’m dreaming, or I try to wake myself up by banging my head on something if the dream turns scary. Very cool. You sound like you were born with the ability and I envy you very much. I started back in the 1970’s and had no success until this year after taking courses online, reading numerous books, and joining a meet-up group here in Edmonton – Better late than Never. Thanks so much for sharing your journey.